The light-up periodic table, built with the older students in grades 4-8 over a period of 3 years, is a great learning tool for other students. Having completed it and tested it, we moved it into the big room of our school so that everyone, students, teachers, and visitors, can use it. 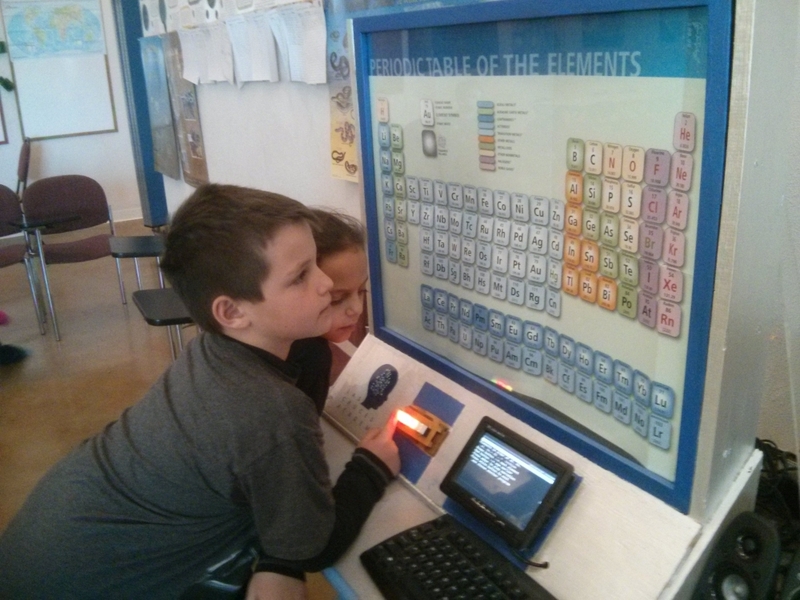 Here, Kaleb and Isaac are the first two of the younger students to explore chemistry with it. They broke off from game playing after school to wander through the presentations, easily mastering how to navigate the offerings, of which there are over 300 as narrations.